I’ve been making baguettes for years, and the results have been decent, but I’ve never been fully satisfied. So for today’s bread, I decided to stray away from the Bernard Clayton book and go to the ultimate source for french bread: Julia Child herself. I dug out Edward’s copy of Julia’s The Way to Cook, which has elaborate, precise instructions for French bread (whether in baguette form or round). 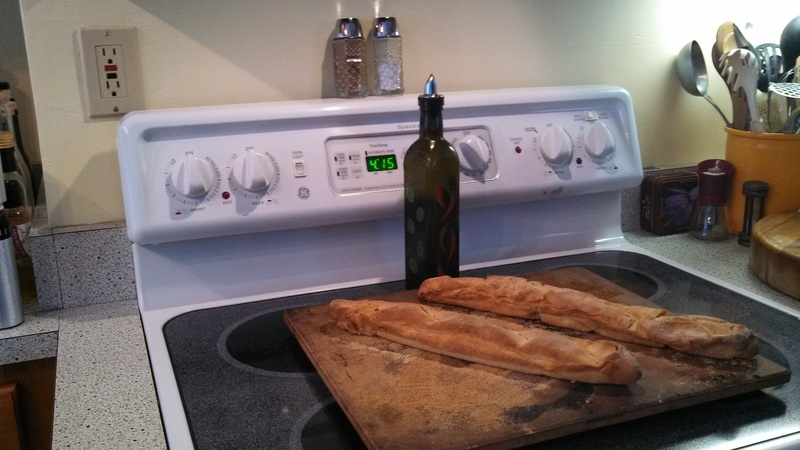 I resolved to follow her instructions down to the littlest minutae, in the hopes of making a great French baguette.